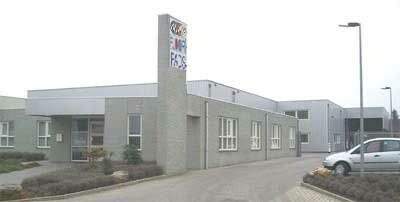 "Max Pads" are located in Utrecht, in The Netherlands. We are a producer of Floor Cleaning & Hand Cleaning Pads from our production facilities plant of 1600 square meters. Our plant allows us to keep a good stock of raw materials for a fast delivery to our customers. Our pads are manufactured from a High Quality Raw Material and it is this High Quality that holds our pads in such a high regard and make them a well-respected Pad in the Cleaning & Maintainence Industry. We have gained our reputation as a Quality Pad Manufacturer. The main products of our company are floor cleaning pads ranging in size from 6" to 21" which we produce in all colours and grades and 9" x 6" hand pads which we produce in colours ( Green, Blue, Red, Yellow, & Soft White ). At present we currently produce just over 2.6 million pads a year from our plant in The Netherlands. Where we exports to more than 16 countries worldwide. Max Pads are distributed throughout Europe by leading hygiene supply companies, many of which have grown with our company for many years. where we are able to to offer our UK customers a faster and more relilable service. We pride ourselves on Quality and Durability for our Floor Pads which we have spent many years on developing, and our customers have come to expect from Max Cleaning Pads.